When is a cog not a cog? - C.M.A. When is a cog not a cog? Figure 1. 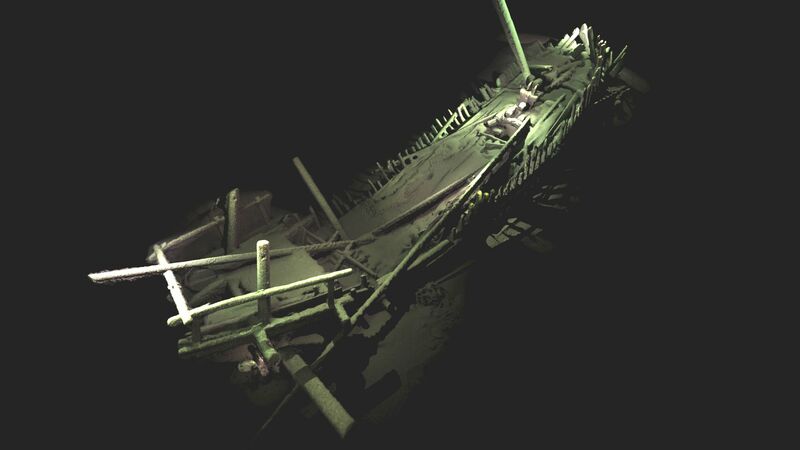 Photogrammetric model of the Medieval ship (Photogrammetry and 3DS Max rendering and lighting by Rodrigo Pacheco-Ruiz) (Black Sea MAP). 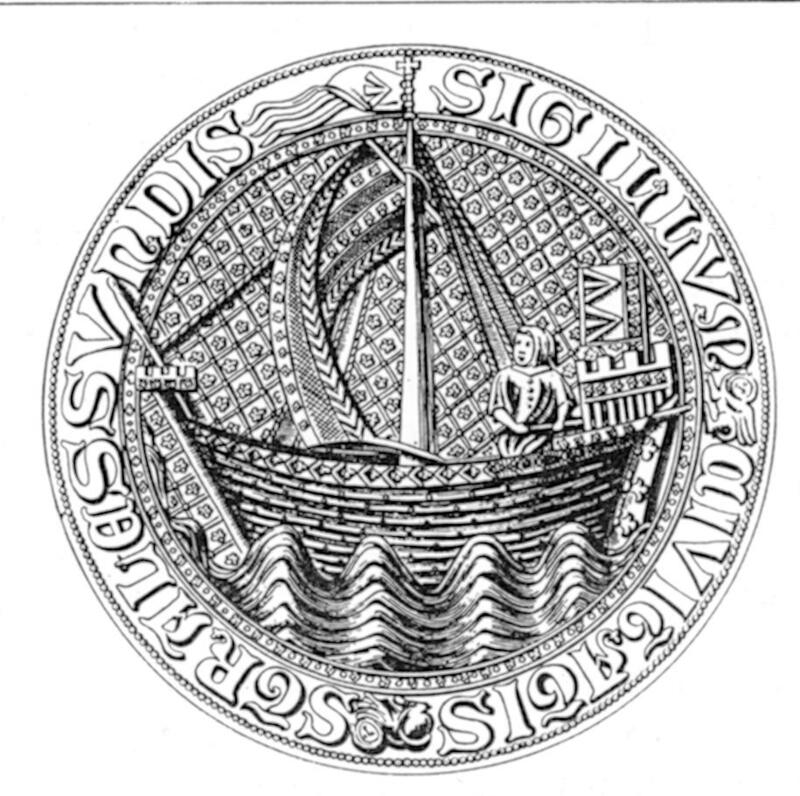 Figures 2a (left) the town seal of Stralsund from 1329. 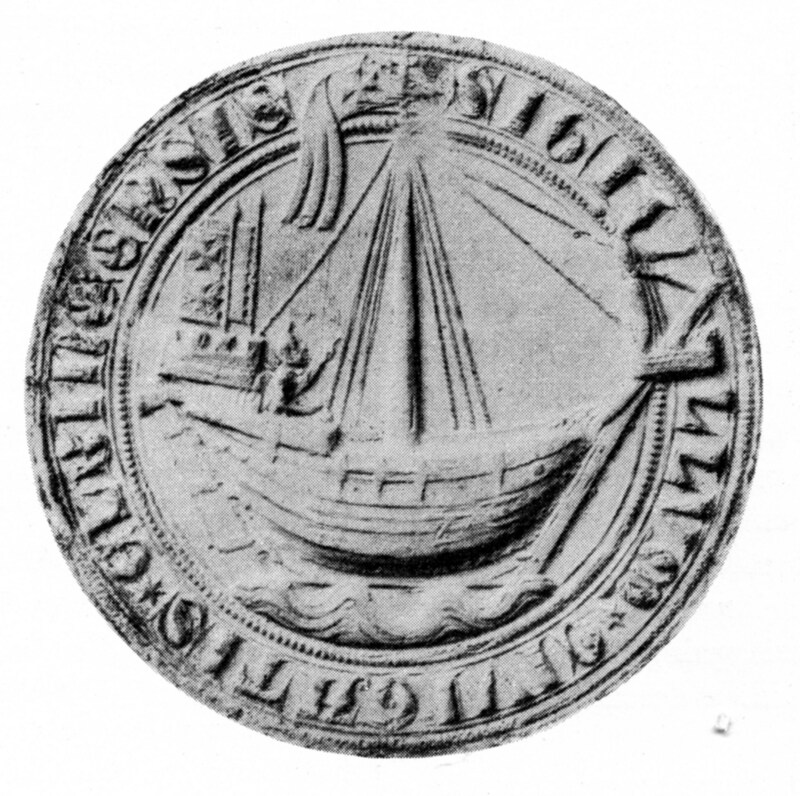 Figure 2b (right): the town seal of Elbing 1350. Figure. 3. Artistic impression of the cog found at Bossholmen in Sweden dated to the 13th Century (Drawing, Jon Adams, combined with a photo by Kester Keighley of the cog during excavation) See Cederlund 1990. Cogs were distinct in both hull form and construction from the other northern shipbuilding tradition which was the ‘keel’ type, exemplified by the clinker-built vessels of the Scandinavian Iron Age (including Viking ships) and the Medieval period throughout northern Europe (Fig. 4) (see Adams 2013: 54). Figure 4. 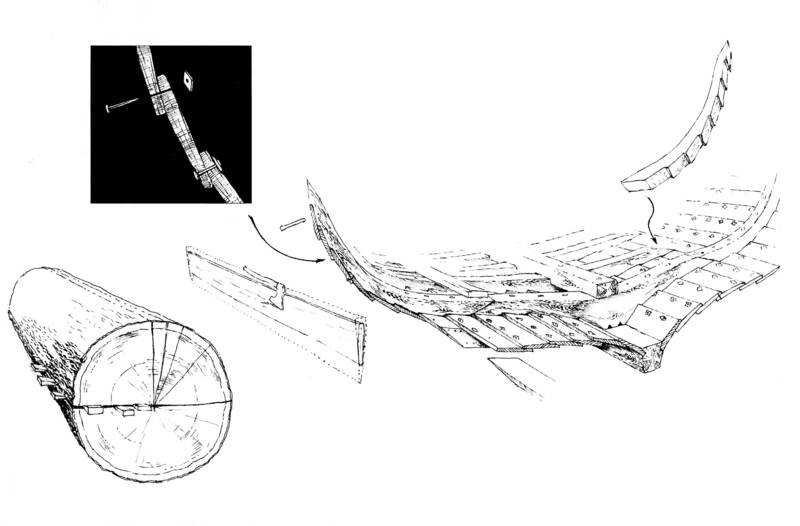 Generalised medieval clinker construction. Radially split oak provides the pieces that are then converted into planks. These are overlapped and fastened through the overlap with roved nails. Frame timbers are inserted afterwards and treenailed in place. 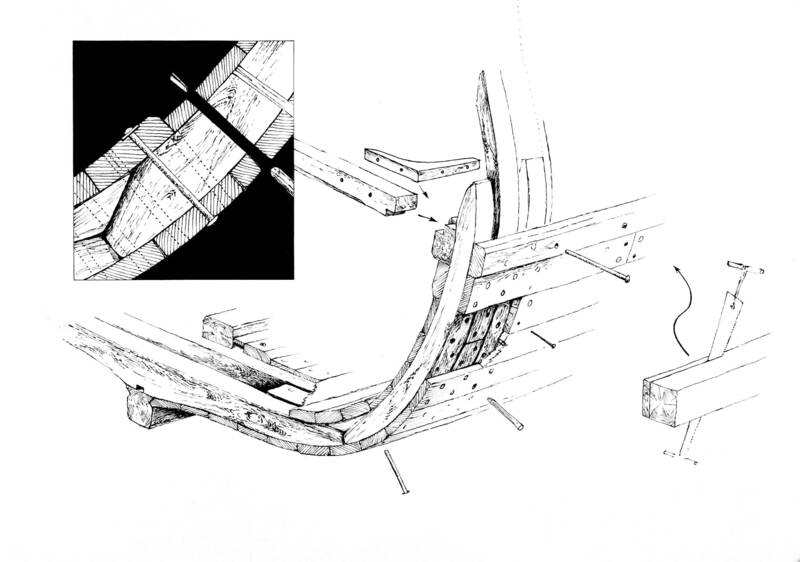 This is what is often referred to as ‘shell’ construction because the hull form and the construction process are led by plank assembly, not the frames (Drawing: Jon Adams). Just as cogs and keels were the products of different traditions, so were the ships being built in the Mediterranean around the same time. Northern and Mediterranean medieval ships had long ancestries reaching back to the Scandinavian Bronze Age and ancient Egypt respectively. The story gets intriguing in the 13th/14th century when commerce brought northern ships into the Mediterranean in increasing numbers. It seems that Italian shipbuilders, in particular in the major port cities of Genoa, Venice and Pisa, recognised that in some ways these northern ‘cogs’ were superior. More to the point they carried smaller crews and so were cheaper to operate. So Italian shipwrights started to incorporate some of the norther features of construction and rig into the ships they built: Principally the stern rudder (rather than side rudders or ‘quarter rudders’ that had been standard Mediterranean practice for millennia), and the square sail. However, they kept their frame-orientated method of hull constriction and continued carrying a lateen sail on the after (mesan = mizzen) mast. Soon a third mast was added, also carrying a square sail and the three-masted ‘ship rig’ was born. They called this sort of ship ‘cocha’ which in its similarity to ‘cog’ may be why people talk of Mediterranean cogs. But neither the ships the Italians were building before this technological fusion occurred or the ones they then built were cogs. In the 1300s and 1400s these ‘coche’ (plural) in their turn traded north where the larger ones were called ‘carrack’ (Friel 1994: 78). Smaller examples from the Atlantic Iberian coast were called ‘carvels’ after the Portuguese name ‘caravella’. Northern European shipbuilders in their turn recognised the capabilities of a multi-masted rig, first converting their own ships to two-masted rigs in the early 1400s, then three-masted rigs soon after. Even more significantly, in one of history’s most important episodes of technological development, they adopted the Mediterranean method of hull construction which they called ‘carvel’. A variant of this word quickly appears in every northern shipbuilding nation and always refers to ships built in this new way. Henry VIII’s Mary Rose (built 1510) for example was a carvel, as was the Great Michael in Scotland (1511), Gribshunden (sunk 1495) in Denmark and Stora Krafwell built in Sweden 1530, and so on (Fig. 5). Figure 5. Typical English carvel construction c. 17th century (drawing: J. Adams). In contrast to clinker construction, carvel hull form is (almost) entirely determined by the shaping of the frames and the construction sequence is led by their assembly. Note this does necessarily mean that all the frames had to be assembled before the planking was started. The two often went is a stepwise sequence. As well as the frame-led nature of carvel construction another key characteristic is that the planks were laid flush and not fastened to each other, only to the frames. (Drawing: Jon Adams). So to get back to that medieval ship in the Black Sea: It’s not a cog but a Mediterranean ‘round ship’ (denoting its mercantile rather than naval nature, not necessarily its form). It represents the period of Mediterranean shipbuilding before that great technological fusion that produced the carvel-built ships that circumnavigated the world and helped move Europe from the medieval period into the modern age (Adams 2013 ch 4). It might be a little later than Marco Polo but he would have been familiar with ships that looked like this (Fig. 6). Figure 6. 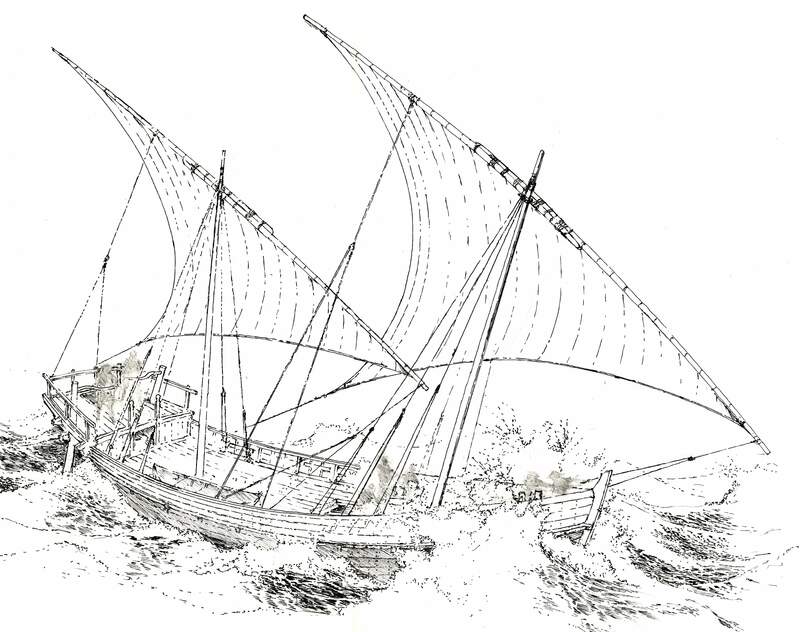 A Mediterranean merchant ship of the medieval period, carrying lateen sails and steered by quarter rudders. Compare with the cog shown in figure 3. (Drawing based on preliminary examination of photogrammetric survey. Jon Adams). Adams, J. 2013. A Maritime Archaeology of Ships. Innovation and Social Change in medieval and early modern Europe. Oxford: Oxbow Books. Cederlund, C.O. 1990. The Oskarshamn Cog. Part I. International Journal of Nautical Archaeology 19.3: 193-206. Friel, I. 1994. The Carrack: The Advent of the Full Rigged Ship. In R. Unger (ed.) Cogs, Caravels and Galleons: 77-90. London: Conway Maritime Press.